Over 10,000 long intergenic non-coding RNAs (lincRNAs) have been identified in the human genome. Some have been well characterized and known to participate in various stages of gene regulation. In the post-transcriptional process, another class of well-known small non-coding RNA, or microRNA (miRNA), is very active in inhibiting mRNA. 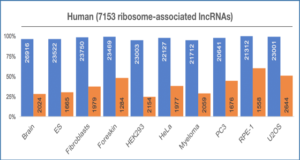 Though similar features between mRNA and lincRNA have been revealed in several recent studies, and a few isolated miRNA-lincRNA relationships have been observed. Despite these advances, the comprehensive miRNA regulation pattern of lincRNA has not been clarified. 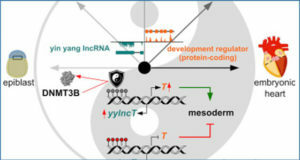 In this study, a team led by researchers at Harbin Institute of Technology School of Computer Science and Technology, China investigated the possible interaction between the two classes of non-coding RNAs. 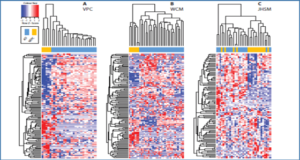 Instead of using the existing long non-coding database, they employed an ab initio method to annotate lincRNAs expressed in a group of normal breast tissues and breast tumors. Approximately 90 lincRNAs show strong reverse expression correlation with miRNAs, which have at least one predicted target site presented. These target sites are statistically more conserved than their neighboring genetic regions and other predicted target sites. 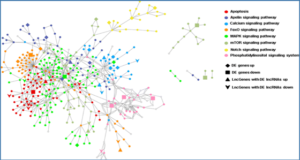 Several miRNAs that target to these lincRNAs are known to play an essential role in breast cancer. 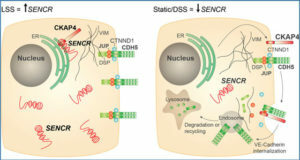 Similar to inhibiting mRNAs, miRNAs show potential in promoting the degeneration of lincRNAs. 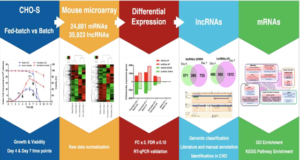 Breast-cancer-related miRNAs may influence their target lincRNAs resulting in differential expression in normal and malignant breast tissues. This implies the miRNA regulation of lincRNAs may be involved in the regulatory process in tumor cells.